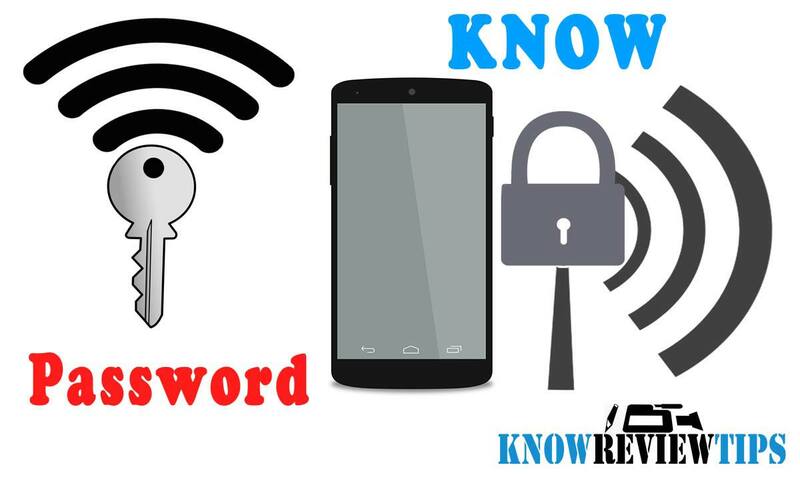 In this tutorial we well learn how to check find your saved WiFi password in Android, iPhone, Windows Phone, Blackberry smartphone. There is not just one way to see password of your already saved and connected wireless networks. It is always beneficial to know the Wi-Fi security key of your ADSL router, so that you can share it with your friend and can connect the WiFi again in case you delete or forgot the network. The first method we are to retrieve or know / find your WiFi password on all mobile phones is using your modem routers access ip address. This method will work on all cell phones irrespective of their OS platform. The above method will work on Windows phone without any problem. 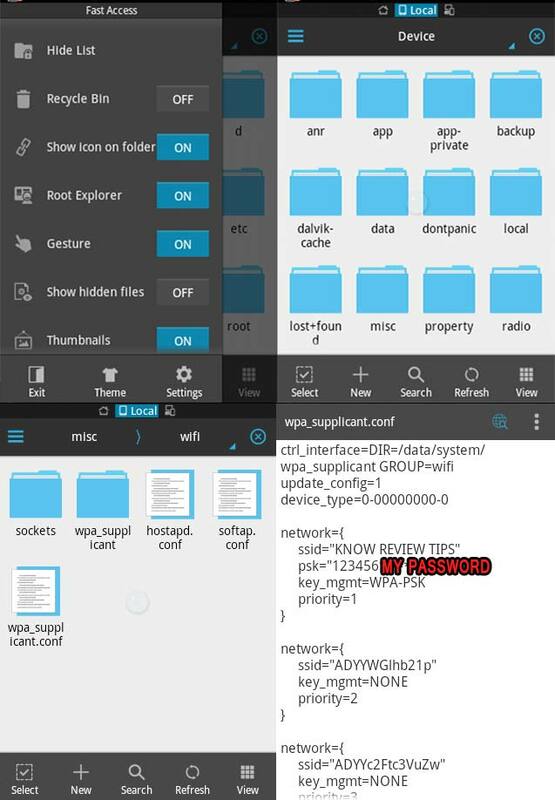 To know WiFi password on Android your phone should be Rooted, you can also try this method without rooting your phone via installing Root Explorer APP from google play store, but chances are less. According to the Android versions the file might be found in /data/wifi or data/etc/wifi. This method should work on all Android versions 2.1 Eclair, 2.2 Froyo, 2.3 Gingerbread, 3.0 Honeycomb, Ice cream sandwich 4.0, Jelly bean 4.1 4.2 4.3, 4.4 Kitkat, v5.1 Lollipop and6.0 Marshmallow. You Will find list of all WiFi Networks you are connected to, along with their respective passwords. If you don’t succeed and all methods fail. Then Another Method you try is to reset your router, but this will delete all your ISP configurations. You can reset it by pressing small WPS / Reset button (Press & hold it for 10 seconds) on the router. The default password can be found at the bottom of your Modem / router or in its retail box pack. Now you can easily find the forgotten WiFi network’s password on Android, iPhone, Microsoft Windows Phone, Nokia, Sony xperia, Samsung, Micromax Canvas, Lava, LG, Xolo, QMobile, HTC, BLU, LeECo, Gionee, Huawei Honor, ZTE, iBall, Motorola Moto, Xiaomi MI, Intex, Oppo, Alactel, Meizu, Asus Zenfone, Acer and Lenovo smartphones.